Seeking to reduce patient traffic without sacrificing care quality, New York-Presbyterian hospital is offering second opinions and consultations via digital technologies. Telehealth, the practice of providing care services remotely using digital technologies, took a big step forward at New York-Presbyterian last week. The hospital system, which sees more than two million people a year, is now offering patients the option to receive second opinions, urgent care and consultations via online portals and video conferencing services. The initiative is designed to improve patient outcomes while lowering healthcare costs, says CIO Daniel Barchi, who joined the hospital in December after serving as CIO at Yale New Haven Health System and Yale School of Medicine since 2010. Barchi says the program was well underway before he joined NYP. “Our CEO, Steve Corwin, had the vision for telehealth,” Barchi says. 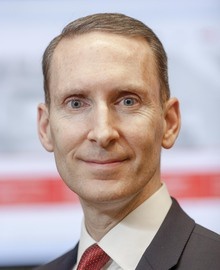 Daniel Barchi, CIO at New York-Presbyterian hospital. Other healthcare professionals who tried telehealth over the years have only seen only marginal success for various reasons. 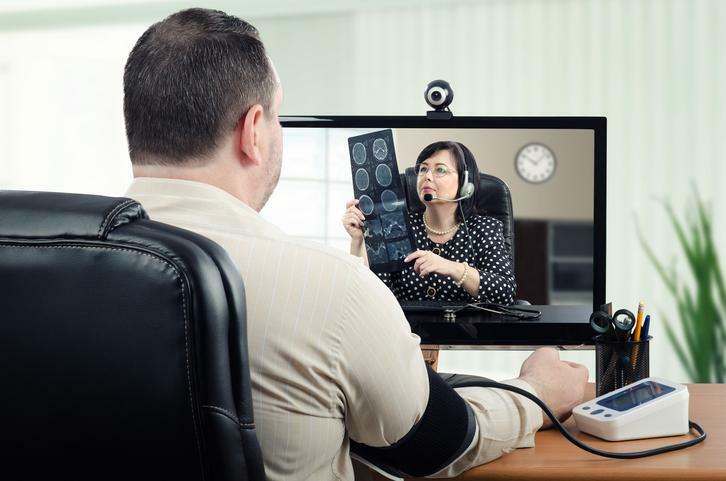 Physicians, for example, might examine patients remotely via video conferencing systems, but without broader buy-in from their peers and administrations, the benefits are often muted. Adoption has also been spotty due to federal and state regulations prohibiting telehealth across borders and inconsistent physicians reimbursement for services rendered. As such, telehealth has mirrored the inconsistent and compartmentalized paradigm of the U.S. healthcare industry. The telemedicine tide may be turning as hospitals recognize that providing remote services can enable quality care at lower costs, which has become crucial as the country's healthcare system moves beyond paying physicians for the number of visits and tests they order to the value of care they deliver. Some 40 percent of primary care visits will be delivered virtually by 2018, with 25 percent of all care in the U.S. being conducted virtually by 2020, according to research by Gartner analyst Thomas Handler. NYP physicians have long lacked a standard process to get information about patients seeking second opinions for complex medical diagnoses, such as cancer or cardiac disease. A patient from Illinois might fly to NYP to be examined, which is costly and inconvenient for the patient. NYP’s new Digital Second Opinion service enables 300 NYP physicians in 80 medical specialties to write and submit opinions to patients through an online portal, with healthcare startup Grand Rounds aggregating the data. NYP will walk patients and their physicians through the online portal process in concert. Eventually, NYP plans to expand this service worldwide. The remaining services rely heavily on NYP’s existing’s telepresence technology, including Cisco Systems software physicians have long used to facilitate video conferences. NYP is using these systems to connect patients at NYP’s nine hospitals to hospital physicians for specialty care, including pediatric, behavioral health and other areas. Visitors to the Lisa Perry Emergency Center may now elect to receive a virtual visit through real-time video interactions with a clinician after having an initial triage and medical screening exam, reducing the time spent in the emergency department. Nurses will roll in telepresence carts equipped with a webcam and monitor into a patient’s private room to initiate exams. Eventually, patients suffering from any non-emergency conditions who require expedited treatment will also be able to access virtual urgent care and follow-up services from NYP/Weill Cornell doctors from the comfort of their home. “We would really like it if people didn’t have to come back to New York to see the physician for what might be a 10-minute follow-up appointment,” Barchi says. He adds that patients will be granted access to a video conference from their home computer via a soft token. NYP is also working on mobile applications that will enable doctors and patients to conduct digital meetings through their smartphones, similar to how Apple’s FaceTime technology works on the iPhone. NYP’s telehealth initiative advances the digital path on which Corwin and Barchi's predecessor, Aurelia Boyer, had embarked on years ago. In 2014, NYP launched an electronic medical record service that allows physicians to view real-time patient information from their smartphones. CIO.com acknowledged the program, NYP Care+, with a 2016 CIO 100 award. NYP is also using tablet PCs to allow patients to call for nurses and view their health records. NYP says the switch away from nurse page buttons will make care more efficient and save the millions of dollars it would have cost to replace an aging call system.